The Paw Brothers De-Matter L-Type features stainless steel safety blades. 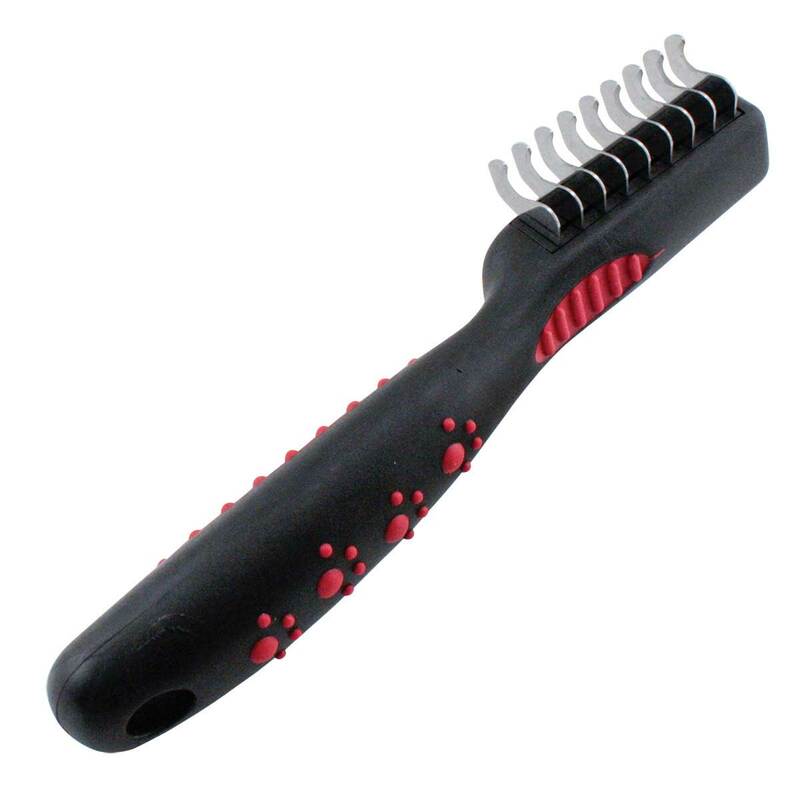 Blades easily cut through mats and tangles but prevent accidental cutting of pet's skin or groomers hands. L-Type grip offers optimal precision and control. My Pom used to have terrible mats behind her ears that always seemed to come back after grooms. I could not get rid of them myself and would simply wait until her next grooming appointment for the groomer to get rid of them or cut them out with scissors (which is wrong haha). Then Amy from Ryan's told me about this dematter. It is the perfect size, and it is easy to hold in my hand while trying to get the mats our from behind her ears. It doesn't pull too much and I have been successfully keeping her behind-the-ear-mats away for months now. Thanks, Ryan's!